Green Bay faces a hot Minnesota team on the road Sunday in a pivotal mid-season match up of the top two teams in the NFC North. While Minnesota has won five straight, the Packers have dropped three in a row and questions loom about why Green Bay's previously potent offense has sputtered in that span. The Arman brothers discuss below if and how the Packers can get back on track in a challenging road atmosphere against the NFL's leading rusher and the NFC North leading Vikings. If the Packers lose on Sunday and drop four in a row, how much danger are they in of missing the playoffs? Shane: The Packers will be be big trouble if they lose. This is a pivotal must-win game not only for playoff positioning but for overall confidence of this team. Every team struggles at some point in the season and that phase must end here if the Packers expect to be contenders come January. Mitch: I think they will be fine regardless. However, the combination of who is left on the schedule and the way they are playing doesn't bode well for this team, should they drop a fourth in a row. Road games at Oakland and Arizona are going to be tough, as well as hosting what should be a completely healthy Dallas team on Dec. 13. Ten wins likely gets the Packers a wildcard this year in the NFC. I think they beat Chicago, Detroit, Minnesota (once), Dallas, and Oakland, to get to 11-5. Green Bay needs Minnesota to drop a divisional game along the way, otherwise they may be looking at a wildcard. Why should Packer fans have confidence that the Packers can actually win this game on the road against Minnesota, when they just lost to the worst team in the NFL at home? Adam: The Packers have a track record of success against the Vikings in the Mike McCarthy era. McCarthy and Rodgers have proven to be a great pair when it comes to developing winning game plans within the division and executing. The green and gold haven't lost back-to-back divisional games since 2005. Yes, that's ten years. The leaders on the this team know how to band together and get the job done. All things considered the Packers are 6-3 and can regain control of the division with a big road win Sunday. The Packers understand what is at stake and I expect the whole team to play with a heightened sense of urgency. The Vikings have a solid defense and the league's best rushing attack, but Teddy Bridgewater isn't ready to challenge Aaron Rodgers for division titles yet. Shane: Green Bay has proven when their backs are up against the wall, they rise to the occasion. Aaron Rodgers is still the most lethal quarterback in the league and Green Bay's defense has the ability to make big plays. Mitch: If the Packers have anything going for them, it's that it can't get much worse than what's been going on recently. It's time for the players to play with a chip on their shoulders and regain some momentum. A win at Minnesota would be absolutely huge, from a record and momentum standpoint. Minnesota's defense and Mike Zimmer have had success limiting the Packers offense the last few years. What wrinkles, if any, will we see from Green Bay's offense to reignite what has been a pathetic offense the last few weeks? Adam: Rodgers is 10-4 against the Vikings in his career and Zimmer's numbers against Rodgers are skewed from a few stout performances with a better team in Cincinnati. I would like to see more screen passes with Starks, which have been very productive this year. Also it would be nice to get continued production from the tide end position. Richard Rodgers has been a huge disappointment, but Justin Perillo has started to earn Rodgers' trust to provide a much needed threat down the middle. Lastly, someone has to get a target deep down the sideline; whether that's Jeff Janis or Davante Adams, Rodgers needs to keep the secondary honest with a few shots down the field. Shane: I'd like to see Mike McCarthy and Clements commit to running the ball, early and often. Lacy should be active to form Green Bay's one-two punch, so there's no excuse or reason to throw the ball 60 times. Rodgers can carry an offense for stretches of time, but any quarterback becomes less effective when play-calling is predictable and there's no threat of an RB doing damage on the ground. Feed Lacy, feed Starks and use play-action pass to hit big plays down the field. Mitch: I think the Packers, almost more than any team in the NFL, thrive from starting fast. First quarter points and momentum have been keys for Green Bay for a long time, and during the three game skid, that has not happened. The Packers need to start fast and not let Minnesota control the clock with their run game if they hope to walk out of TCF with a win. What is the one key to beating the Vikings on the road Sunday? straight games against Green Bay, not to mention being the leading rusher in the NFL by a large margin. Peterson will certainly get his Sunday, but as Mike McCarthy has alluded to, the Packers will have to prevent Peterson from breaking off the big run. The Vikings are first in the NFL averaging over 140 yards per game and that is what allows Bridgewater to be effective. Shut down the run, force Bridewater into third and long situations, and the pass rush will get have plenty of opportunities to get home. Shane: Balance on offense. Green Bay needs to get the ground game going to set up the pass and give Rodgers lanes to throw the football. 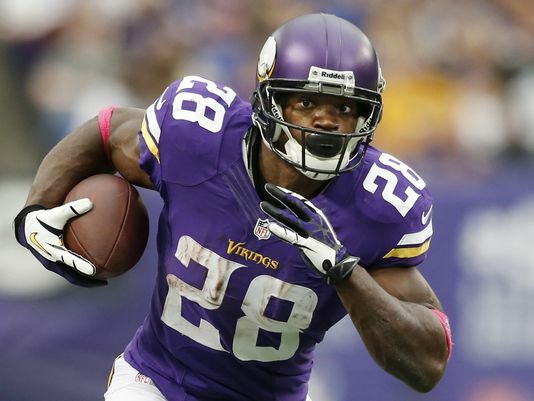 Adrian Peterson will get his 125+ yards and a TD, but the Vikings offense doesn't really scare anyone. The Packers are at their best when they're up tempo, balanced and unpredictable on offense. If that's who they are on Sunday, they'll get a road victory and regain control of the NFC North. If not, they won't - I really think it's that simple. Mitch: We need to get a rhythm going offensively. Minnesota is not a team you want to trail for the majority of the game. Peterson is going to get his on the ground, so I won't say stopping him is the key. Receivers need to get open and help Rodgers out, which will be a tough task against a stout secondary. Score prediction and player of the game. Adam: 24-17 Packers. Davante Adams will step up and make some big plays for Rodgers down field. He catches 8 balls for 130 yards and 1 TD. Justin Perillo gets a redzone TD and Rodgers cuts the Vikings heart out on a final four minute drive. Shane: The running game gets Green Bay back on track and the defense comes up with two big turnovers, including a pick-six on Teddy. 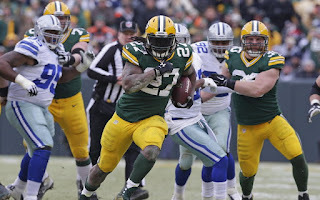 Starks and Lacy combine for more than 100 yards and two TDs in route to a 27-24 road victory. Mitch: I am one of few hopefuls and I think we get it back together. 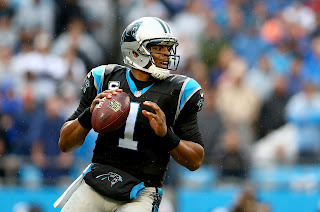 The Green Bay Packers were dominated in Denver and now travel to NFC powerhouse Carolina to take on the undefeated Panthers, led by MVP front-runner Cam Newton. While it's only week nine, this pivotal match up may go a long way in deciding which path NFC hopefuls will travel in route to Super Bowl 50. Will the Packers offense and Aaron Rodgers bounce back, or will Cam Newton thrash the Packers suspect secondary and protect his home turf? The Arman brothers offer perspectives on three key questions that will decide this game, then predict the outcome. 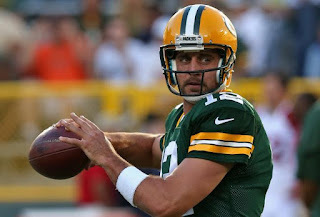 Aaron Rodgers hasn't lost back to back games as the Packers starting quarterback since weeks five and six in 2010. What is the key to the Packers offense and Aaron Rodgers getting back on track against Carolina? Do you expect big changes to their approach? Adam: Protection. Rodgers was pressured on 63 percent of his drop backs against the Broncos and the Panthers defense is stout. I don't expect big changes to their approach. The Packers need to use tempo and get into a rhythm with short to intermediate timing routes. It would be nice to see Cobb back in the slot with Davante Adams back in the mix. Cobb has been the most lethal running option routes in space and getting yards after the catch. Shane: Two things: start fast and establish the run game. I would love to see the Packers get nasty and own the line of scrimmage by pounding the ball with Eddie Lacy. Corey Linsley and Richard Rodgers got embarrassed in Denver - both were beat off the ball consistently and were unable to hold blocks for enough time to open up holes for Lacy. Once Green Bay establishes the run game, play-action will open up lanes in the middle of the field. And against Carolina's secondary, that may be the only way. I do expect big changes in the approach, in terms of focus on the run game, early and often to set up the pass. Mitch: The key to the offense is protection of Aaron Rodgers and having effectiveness in the run game. I don't see the need for major changes, I think the Packers just need to execute the game plan more effectively. The Panthers do have a stout defense and it seems that anyone Josh Norman covers is done for the game. With that being said, those who watched the Monday night game between Carolina and Indianapolis saw that Carolina does have some issues rushing the passer. If we can give Rodgers time and effectively run the ball, things will open up for the offense. Cam Newton is having an MVP-caliber season. 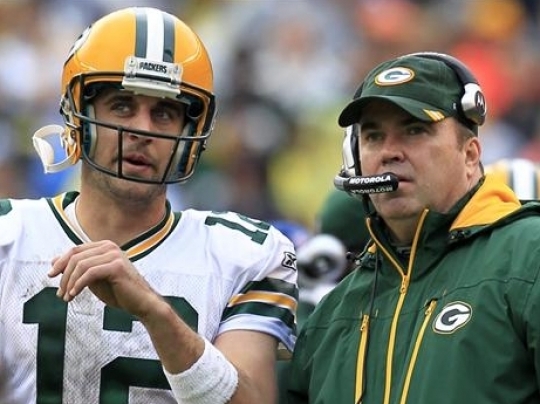 If you are Dom Capers and/or Mike McCarthy, what is the plan to minimize his effectiveness? Adam: Cam Newton is prone to interceptions if the defense can stay in favorable down and distance situations. To forces those throws, it starts with stopping the multi-faceted run game of Carolina, which ranks 1st in the league in yards per game. The combination of Stewart and Newton helps Carolina control the clock and wear defenses down. The Packers have to commit to the run, tackle much better than they did in Denver and force Newton into third and long situations. Shane: The Packers need their pass rush swagger back. Capers needs to dial up more creative blitzes and move Clay around the line constantly to confuse Newton. While Russell Wilson did have some success rushing against Green Bay, the Packers did a decent job of collapsing the pocket, while getting pressures, knockdowns and sacks in that game. They need to do the same against Newton with an increased focus on wrapping up and tackling, because Cam is a big boy, as are Stewart and Tolbert. Mitch: STOP THE RUN. I'm sure none of us are really that threatened/scared by the Panthers mediocre wide receiver core. Newton doesn't have a ton to work with, so it starts with stopping the read option, and TACKLE TACKLE TACKLE Cam Newton when he keeps it. The Packers run game has be abysmal the past few weeks, after being a top-10 rushing attack the first handful of games. Will we see a re-focus on the rungame and if so, how will the Packers be successful doing so? Adam: This seems like a tough week to revive a struggling ground game. McCarthy usually starts preaching about the importance of controlling the clock and finishing teams off with an effective run game as winter approaches, but the Panthers top 10 scoring defense will need to be attacked with the Packers strength - the passing game. Shane: The Packers chances of winning depend on getting back to a more balanced approach on offense. We saw what happened when the offense turns one-dimensional in Denver - Green Bay does not have the outside speed and talent with the current WR core, to win only with the pass game, even with Aaron Rodgers (at least against elite defenses). To win on the road against a top-10 defense, the Packers will need at least 100-125 yards rushing. Without that, they lose this game. Mitch: As I eluded to in my first response, we have to get the run gameback on track. A major reason for the Packers averaging under 20 points per game in the last four games is their abandonment of the run game and lack of execution. Feed Eddie and James! Game score prediction and player of the game. Shane: 23-20 Packers. Eddie Lacy gets back on track and fuels a five-minute drill late in the fourth to set up Mason Crosby for a 50-yard game-winner. Lacy finishes with 118 yards and a TD.